Limited Edition Stars and Stripes Design. Insulated foam inside with PVC lining. Proud to be an American? Show it with this patriotic lunch cooler! Features stripes on the body and stars on the zip-top closure. 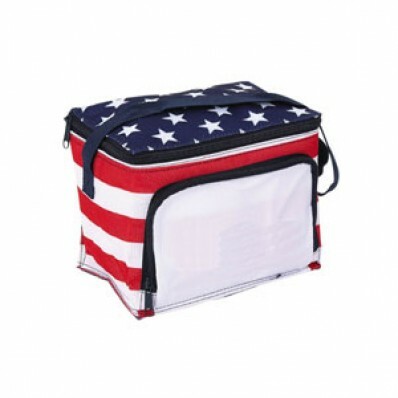 Includes a front zippered pocket and web hand strap.